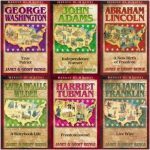 Constitution Day Foundations of Freedom Thursday: It’s Foundations of Freedom Thursday! And although we normally spend Thursday’s answering questions from our listeners, today we’re doing something a little different! With Constitution Day coming up on Monday, we are delving deeper into our Constitution, discussing some history of Constitution Day, and more! You’ve found your way to the intersection of faith and the culture. This is WallBuilders Live! Where we’re talking about today’s hottest topics on policy, faith, and the culture. Always doing that though from a biblical, historical, and constitutional perspective. That’s how you get the right answer that will actually produce prosperity and freedom for the entire culture. You can find out more about us at WallBuildersLive.com and WallBuilders.com. 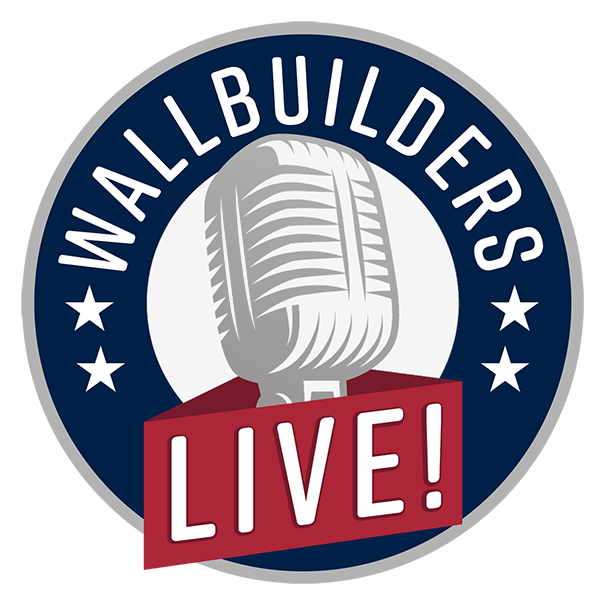 WallBuilders Live is our radio site. We have lists of our archives of programs over the last few weeks, also a list of our radio stations across the country. And then at WallBuilders.com, that’s our main website. That’s where you can get the tools to equip yourself, and your family, and your church, with all kinds of inspirational tools educational tools. Talking about constitution classes, Foundations of Freedom television program, Chasing American Legends, all kinds of great things that you can use to inspire and equip the people in your life to want to be better citizens and to help restore America’s Constitution. We’re here with David Barton, he’s America’s premier historian and our founder here at WallBuilders. Tim Barton’s with us, national speaker and pastor, he’s the president of WallBuilders. And my name is Rick Green, I’m a former Texas legislator. Today is a Thursday which means out here at WallBuilders that’s a Foundations of Freedom Thursday. And the cool thing about that is, first of all, we’re going to cover some really cool foundational ideas of what the nation was built upon. Can You Imagine We Had to Pass a Law to Do this? Today we may or may not get to very many questions because we’re actually going to dive deeper into the constitution to give you some ammunition, if you will, intellectual ammunition, for next week because it’s Constitution Day next Monday. And across the country, under federal law, you’ve got to celebrate the Constitution. Can you imagine we had to pass a law to do that? But schools have to spend some time on the Constitution next Monday. So, David, let’s dive into some constitutional principles that folks can use next Monday or this weekend. Hey, do it all week long, but be teaching these constitutional principles at home and give your kids something to talk about next Monday when they come back to school for Constitution Day. So, Rick, let’s first deal with Constitution Day itself. Constitution Day, which is a big deal now or it’s supposed to be a big deal, as you mentioned, it is part of federal law though. Constitution Day actually goes back to 1940. And in 1940, this is when Hitler had been active in Europe for a couple of years. He’s doing– moving into nations, taking them over. He’s making his aggression start. And we’ve got people from across Europe flooding into America. We’ve got immigrants coming at a huge rate. Wait, wait, wait. David, I’ve got to ask this “I am an American” thing. So, it didn’t have the shirts and whatnot didn’t say I am something-American, hyphen-American. It didn’t tend to have that. You mentioned that and it really didn’t have that. And part of that goes back to a philosophy that we had with immigration, and citizenship, and constitution. As a matter of fact, let me just read this quote from Theodore Roosevelt. President Teddy Roosevelt. So, to answer your question, no, I’m not talking about hyphenated Americans. And interestingly enough, that was seen as anathema in American culture for generations, literally. So, it’s only been in recent years that we’ve gotten into “preserve your nationality”. Hey, we wanted to be an American and we recognized that was not a nationality – that’s a state of mind and you lose your nationality or your allegiance to your nationality to become an American. You want to be something different. Yes, that’s true assimilation, right? You’re truly coming here to be an American – not to be a subset of an American, but truly an American. You’re really an American. And as the immigration book of that day said, and we’ve read it a couple of times over the years, but the chief of naturalization said to be an American, he said, you have to believe in the spiritual reality. He said it’s not a clash or a creed, it’s really an attitude. And he went through what it takes to be an American. So, being an American doesn’t mean you’re born in America. It means you have a certain set of philosophy, and beliefs, and principles, that you adhere to and they’re all built around the Constitution, what the Constitution represents. So, that’s why back in 1940 we called it “I Am An American Day.” I’m proud to be an American, I’m proud to be part of this country, I now have the right mentality, I understand the Constitution. And you took an oath of allegiance to the Constitution, you renounced any other system you had. So, if you came in as a Muslim you had to renounce Sharia if you were going to be part of an American system. Because the American system was not compatible with the Sharia system. You can’t have both of them, you can’t serve two masters. We really had that mindset. So, that was in 1940. And then it got changed in 1952 to what we called Citizenship Day. It was still to recognize all those who had attained American citizenship. Because Americans themselves, we were still teaching the Constitution in schools, so we knew it, we wanted to welcome the new Americans who had now learned the Constitution and they were part of the American culture. Then you move to 2004. And by 2004 the polling is so abysmal on what Americans don’t know about the Constitution. We by and large have stopped teaching it in the schools. When you do polling on it, even today, it is, oh, it is just unbelievably bad. Sixty two percent of Americans cannot name the three branches of government. Well, that’s article 1 2 and 3 in the Constitution. That’s two thirds of the Constitution right there. And by the way, did you know that the U.S. Constitution is the shortest constitution in the world? Now, we’re the longest ongoing constitution in the world, but we’re the shortest– in terms of number of words, the American Constitution is shorter than every other constitution in the world. So, it’s more successful, it’s more productive, it’s really simple, it has just key principles. But 62 percent of Americans today cannot name the three branches of government. So, this is a requirement in federal law. Now, I was in Washington D.C. last week speaking to a large group of congressmen, really fun group, and I brought up this law and several congressmen looked and said, “Whoa, whoa, whoa, wait, we have a federal law that says we teach the Constitution on Constitution Day?” Yes, we do. Even congressmen today aren’t even aware of that law, but every public school is required to observe that law on Constitution Day. Monday is Constitution Day. September the 17th 1787 is when they signed the Constitution. So, September 17th is now Constitution Day. What used to be “I Am An American Day” and “American Citizenship Day” is now called Constitution Day. Get Curriculum for Your School! So, this is a great opportunity for us to reacquaint ourselves with the principles of the Constitution. Alright, quick break, we’ll come back. We’ll dive further into the Constitution to give you some more tools that you can use in your home and, obviously, encourage your school, as David was saying, to participate in this as well. Stay with us. We’ll be right back on WallBuilders Live. Now wait a minute, this thing on federal law, you’re a guy who brought that federal law down to the state level in a very real way. You sponsored and got passed the first bill called Celebrate Freedom Week which now requires public schools, for example in Texas– and by the way, a lot of other states have picked this up and it’s now law in their states. But next week, starting next week, they have to spend a whole week on not only the Constitution, but the Declaration, Bill of Rights, tell us about that law. Man, it’s even memorizing and reciting those special words out of the Declaration of Independence that lay down who we are as a nation. So, it comes back to we have the same problem in Texas that people have across the country. You laid it out at the beginning in our first segment how most people don’t even know the three branches of government. Well, here in Texas I had seen a poll while I was a legislator that said that half of Texans could not name even one freedom out of the First Amendment and 95 percent of Texans could not name more than one freedom. So, we have five precious freedoms there and people just didn’t know them. And I was appalled by that survey, that poll, and I’m sitting in my Capitol office reading this and thinking, “that’s terrible”. Then I stopped for a second and said, “Wait a minute, can I name the five freedoms out of the First Amendment?” And at the time I couldn’t. I thought that’s pretty bad – I’m a legislator, I’m a lawyer, I’m a political junkie, I live, breathe, eat, this stuff and I can’t name them. 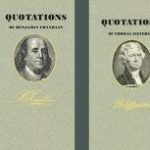 We definitely need to have a concentrated effort on an annual basis to go back to these founding documents. So, we passed that Celebrate Freedom Week so that every– this year during Constitution Day week that every school in Texas would study the Declaration, study the Constitution, and make sure that kids are getting, at least for that one week, a good foundation in this not just one time. We used to cover very lightly the Constitution in 5th and 11th grade typically. We wanted them to study it every year at least a little bit and have kind of that building on that on that foundation. So, we get– it’s fun to get reports from schools where kids are doing programs in elementary school, or they’re having high school students write essays on this, or whatever it is. However they want to celebrate it and the things that they want to do to bring that knowledge to the students we’re excited about. But schools typically won’t do it even though the law says they have to do it. Even this Constitution Day next Monday, they won’t do it unless some of the citizens are calling and saying, “Hey, what are you doing for Constitution Day?” Anywhere in America you can call your school district and ask them that. Say it’s federal law, you’re supposed to be doing something. Any of the states that have passed Celebrate Freedom Week, and there are several, you can go to my website at RickGreen.com and look at the map. But any of the states like Texas and others that have done that, you can call the school district and say, “Hey, what are you doing for the week of Celebrate Freedom Week? What are you going to study?” So, it’s going to take some citizen activity to make this thing actually come down to the local level. Hey, quick break, guys. We’ll be right back. We’ll dive further into this. Stay with us. You’re listening to WallBuilders Live. Welcome back. Thanks for staying with us on this Foundations of Freedom Thursday. Getting ready for Constitution Day next Monday and we want to make sure you’re equipped and ready to be a part of that as well. And encouraging your local school district to do something about it as well. It’s a special day every year where we actually concentrate on the Constitution and get our students to be appreciative of the freedom they have and learn how to defend and protect it. Yeah, Rick, one of the things, too, as we were discussing even over break, I think one of the challenges even if we can help school districts, and help teachers, or administration, recognize that we ought to take some time and be teaching the Constitution. Especially Constitution Day or this week celebrating history. We ought to be teaching this in school. But the question came up, yeah, but what are teachers going to teach about this? Because I don’t think most teachers know the Constitution either, right? Teachers are people that have gone through the same education system, largely speaking, that have produced the citizens. And most Americans in general, teachers included, don’t know very much about the Constitution. So, the question comes up, “Well then where can they go to get the information that they can present to the class?” Because obviously, you can’t teach what you don’t know unless you can find somewhere with that information. And certainly we have information at WallBuilders, there’s the Constitution Alive class. But, guys, there were several websites, I think, that we found. And it also then has links to curriculum. There’s teacher resources and it’s going to be a short curriculum. Because you only have one day and they’re not going to take the whole day on this Constitution stuff. So, it’s a fairly short simple course. It is a beginning place for them. And all those links we have there at WallBuildersLive.com. You can go there and see the links for Constitution Day the law and for courses that you can also use as well. So, those will be great even for homeschool families. Or, and actually, even if you’re not a homeschool family, right. Your kids go to a public school, a Christian school, maybe they’re out of school, it’s something that would be great even as a family to say, “Hey, look, let’s sit down and do this.” Almost like at Thanksgiving let’s talk about what God has done, what we’re thankful for. And we have 4th of July or Christmas and these times we get together and talk about important things for families. This would be a great thing for families to say, “Hey, let’s actually see what our freedoms in this nation are based on, where do these principles come from.” So, whether you’re a homeschool parent, or your kids are gone, or they’re in a different school, it would be great to use those links to help engage in conversation with family. And to that end, on Monday, on Constitution Day, there is a program. Tim, you and I just did a Constitution Day program for TBN where we went and visited the homes of signers of the Constitution. We went through and talked through several things they contributed, the guys who helped write it, but also several of the principles in the Constitution. So, there’s a one hour special coming out on TV on Monday. 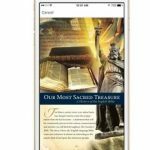 You want to look at TBN.com at their website or your local cable provider. We’ll have that TBN channel on there. It’s a good program you can see on Monday. So, Monday’s Constitution Day, that is the day to really gets started on this. And we want to also encourage you to follow it up and dive deeper either by listening to these Foundations of Freedom Thursday programs as we dive into these principles. Or actually in your own home or Sunday school class actually hosting a Constitution class. 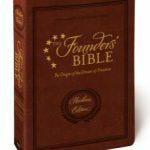 We have Constitution Alive available right there at WallBuilders.com and it’s a great opportunity to walk through every article, every amendment, and really understand the Constitution, understand the Biblical foundation and roots of our Constitution and our nation. And that class will actually take you into the WallBuilders library where David is going to be pulling cool stuff off the shelf and sharing it with you. We’ll take you into Independence Hall and teach on the Constitution in the very room where the Constitution was framed. So, it’s a really fun way for you to dive in and really learn what every citizen should know about our Constitution. And I really want to encourage you not only do that for yourself personally, but for your family. Teach that to your kids, get your local church to host a class either in a Sunday school class, or we have– there’s probably a hundred churches out there right now doing this on a weekly basis. They have a weeknight class that’s just Constitution class and they do Constitution Aive. If you’d like to do that we’re also going to start training coaches on how to do that and call them Constitution coaches. So, be sure and go to WallBuilders.com to find out more, go to RickGreen.com to find out more about how to be a Constitution coach. But let’s get people diving into the Constitution and use Constitution Day as the time to kick it off. Stay with us. We’ll be right back on WallBuilders Live. Welcome back. Thanks for staying with us here on WallBuilders Live Foundations of Freedom Thursday today. We’re getting ready for next Monday, it’s Constitution Day. And if you’re in a state that has adopted Celebrate Freedom Week that’s probably the week next week when that’s going to happen. So, make sure your local schools are participating and then you do your part to participate as well. Guys, we’ve only got a few minutes left what do we want to send folks home with today on the Constitution? A quick outline of the Constitution – really easy. You start with the preamble which gives the overview of what the Constitution is about to try to accomplish for you. You go to Article 1 which is all about the Legislative Branch, that’s the most powerful branch. We do not have three co-equal branches in government. The Constitution makes that clear and the Federalist Papers made that clear. So, in Article 1 you get the 15 things that Congress is allowed to do. In Article 2 you find out what the President’s allowed to do. In Article 3 you find out what the Supreme Court is allowed to do. And in article for you find out that, hey, we have to maintain America as a republic – not a democracy. In Article 5 says, “By the way, if there’s things here you don’t like, here’s how you change the Constitution.” Article 6 says the Constitution is the supreme law of the land – it’s above all federal laws, it’s above all state laws. So, in Article 7 you have the close of the Constitution. Significantly, the Constitution dates itself back to the Declaration of Independence which is part of the philosophy that we find that the Constitution is built on the Declaration. So, you have to understand the principles of the Declaration. And then you get the Bill of Rights which gives you– in ten amendments it gives you about 16-17 inalienable rights that government is not allowed to interfere with. They’re your individual rights that God gave you and that government is going to protect. If you look at the Constitution from that simple framework it makes so much sense. And it doesn’t need to be long because it’s a jurisdictional document. It’s a really, really, cool document. But every American needs to know that General outline of the Constitution. Then you understand what government can and can’t do. Yeah, guys, and let me also throw out one thing. So, looking at the Constitution, dad, obviously looking at the breakdown you gave and helping people understand it, I would say, I think, a question that many listeners might even be curious about is what is something that you think– and this is for all of us– what is something you think that is an important concept or principle of the Constitution that most Americans don’t know and that Americans should know. 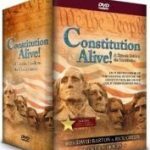 What is an Unknown Constitution Fact Americans Should Know? For example, dad, you said in an Article 2, probably the thing I would point to is the idea that most Americans think that there are three co-equal branches. But Article 1 outlines that actually Congress has the most power. And actually it goes downhill – it’s Congress, and the president, and then the U.S. Supreme Court. The U.S. Supreme Court was the weakest. Most Americans think they’re co-equal branches – they’re not. But that’s an important concept in the Constitution that most Americans don’t know. So, guys, what’s another concept or principle from the Constitution most Americans don’t know that they should? Well, just playing off of that one, even the fact that the branches aren’t equal and that the judiciary is supposed to be the weakest, the fact that those judges are not appointed for life, that it’s for good behavior and that there are reasons to remove them from the bench. And I’ve got to throw in, since we started with this earlier, those five freedoms out of the First Amendment. Most people just don’t know that they’re right there in the First Amendment – religion, speech, press, assembly, the right to petition our government for redress of grievances. All five of those most people would say, “I’m willing to fight and die to make sure my kids and grandkids have those freedoms.” We need to know where they are. Those five are right there in the First Amendment. You can help educate the nation on the Constitution by supporting WallBuilders. That’s what we do. WallBuilders Live is all about teaching people about the Constitution and the foundational principles of our country. WallBuilders does this all across the nation throughout the year by training pastors, and training young leaders, and training legislators, in these constitutional principles. We need your help to make that grow. Come alongside us right now at WallBuilders.com. You can make a monthly contribution. Five dollars a month will help our program spread across the country, and train up more of those leaders, and educate more citizens on the Constitution. So, check that out at WallBuilders.com. A lot of people say, “I don’t know what I can do to help.” That’s one of the ways you can help – by financially supporting WallBuilders and WallBuilders Live. It will spread this news and it will grow this movement to restore our Constitutional Republic. Thanks so much for listening today. You’ve been listening to WallBuilders Live. 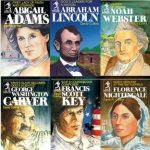 Where is the curriculum link teachers can use for Constitution Day?